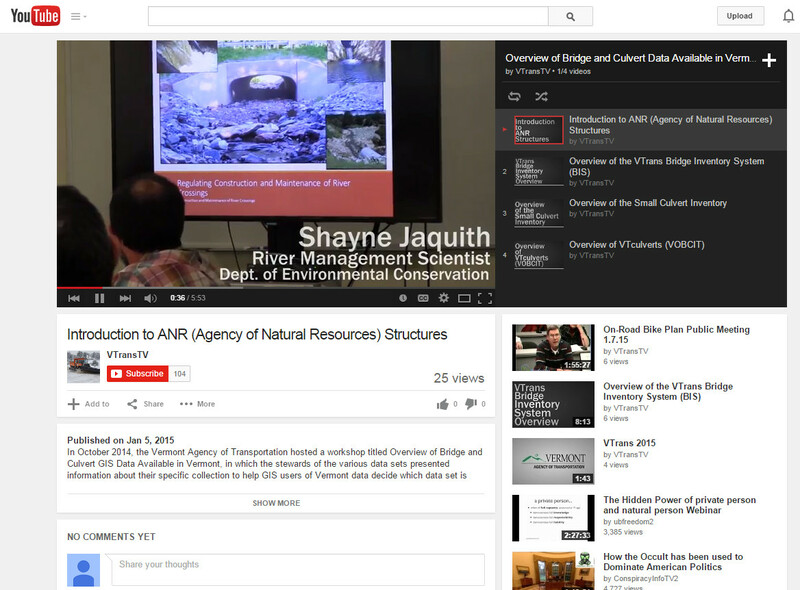 VT Mapping News: RFP for Parcel Mapping Posted, Bridge and Culvert Data Videos Posted! 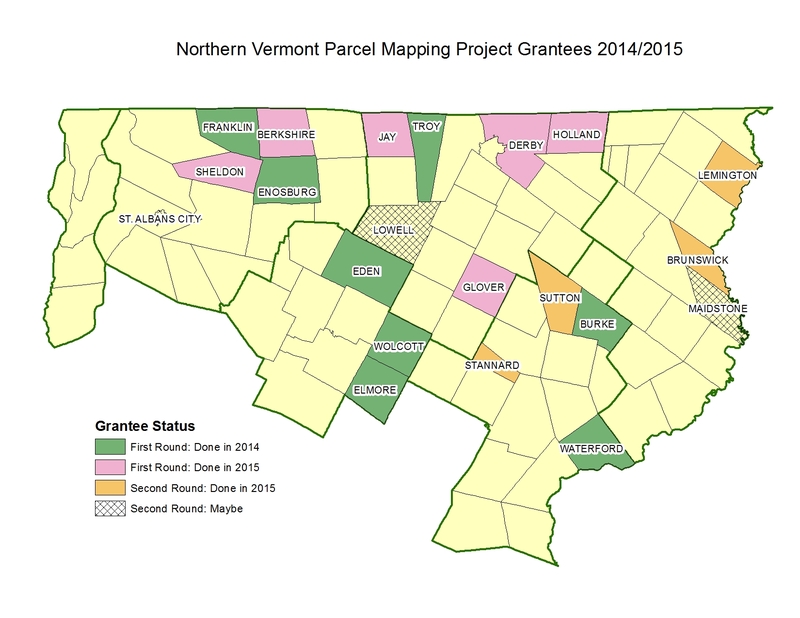 I am excited to report that I have posted the first of (at least) 4 parcel mapping RFPs that will be made available in the next month or so: Lemington, VT! The link for the RFP is near the bottom of the page, but feel free to check the other information about this funded project (which will be done at the end of this year). In October 2014, the Vermont Agency of Transportation (VTrans) hosted a workshop to help GIS users of Vermont data understand what bridge and culvert information is available, and which data set is appropriate for their needs. We have 4 webinars scheduled for late October and November. There are three slots open in December if anyone has a topic they would like to present! Dates and times are very flexible, I am just trying to schedule one per week (other than holiday weeks). VCGI, in collaboration with VT’s Enterprise GIS Consortium (EGC), has developed a portfolio of “web services” which allow users to bring map layers and imagery into their GIS projects or map mashups without actually downloading any data. By connecting to the service of choice via the internet (a live internet connection is required in order for the images to appear in your GIS project) users can access a variety of resources. VCGI provides Web Map Services (including a basemap and contours), Imagery Services (black and white, color, infrared, various ages and resolution levels), and Geocoding Services. Services are often available in two forms: 1) cache and 2) non-cache. Cached services (*_CACHE) are designed to be used in browser or mobile web applications which utilize imagery at specific scales and need the fastest rendering performance. Non-cache services (*_NOCACHE) render the imagery to the client application dynamically; this allows clients such as ArcGIS Desktop to ask for the data in different ways (eg: different stretch or band combinations). Many of the services are also available in VT State Plane or Web Mercator projection/coordinate systems. Plenty more webinars are scheduled for the next 6 weeks or so! See if any of the topics interest you and register today! Click on the link below each webinar date for more details and link to registration. Feel free to contact me if you have questions about how a webinar works! VGIS_BASEMAP_OS: Replacement for old ArcIMS VGIS_BASEMAP service being phased out. GEOCODE_ESITE: Replacement for old ArcIMS GEOCODE_ESITE service being phased out. VCGI is working with partners (member of the VT Enterprise GIS Consortium) to implement a robust suite of web services defined in the EGC’s Web Services Strategy. We hope to have all of these online by the end of 2013. To put next week’s webinar into context . . . a reminder that a year ago I sent an email to the VGIS-Listserv asking for feedback about the Town Highway Maps. The overwhelming response was that people wanted hardcopy versions of the maps. You are currently browsing the archives for the Tech Tips and Links category.